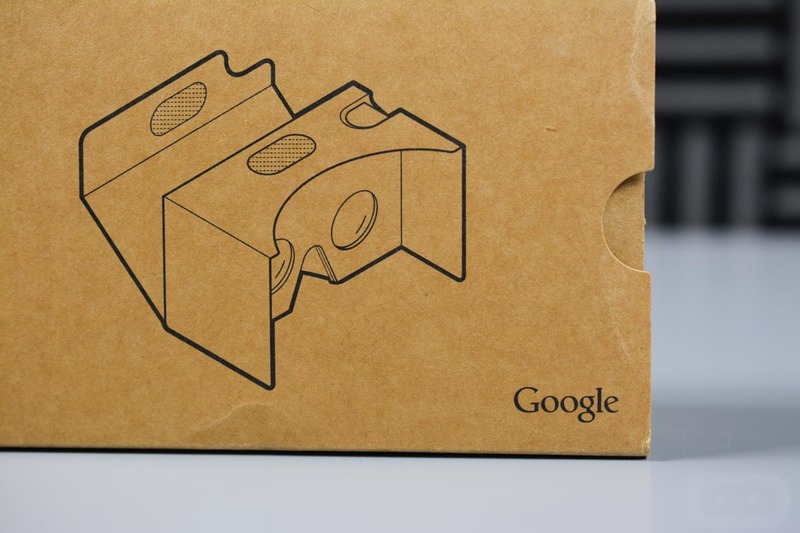 With Google I/O quickly approaching, we’ve been wondering how Google planned to surprise us. With Android N already alive and in preview 2, it wasn’t going to be with that, though we may still get a preview 3 next week. With the current line-up of Nexus devices still fresh enough, we aren’t expecting to see 2016 models yet either. So what could the big reveal be, if there is one? 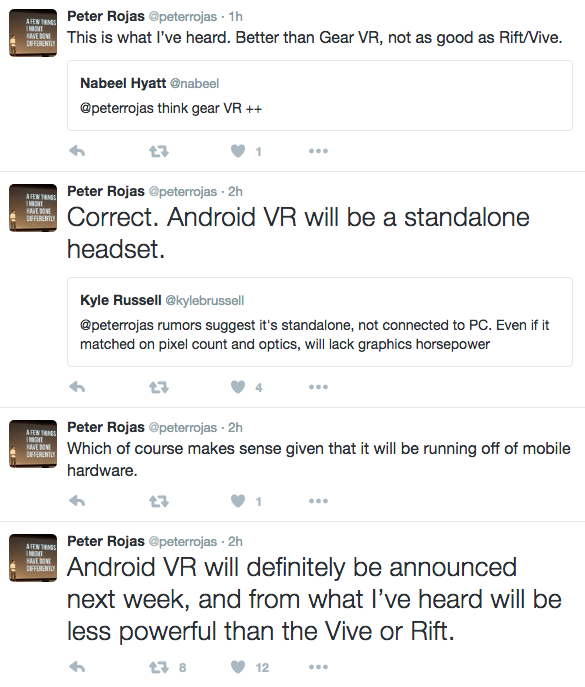 According to Peter Rojas of Gizmodo, Engadget, and various other tech venture fame, citing multiple sources, it’ll be with Android VR. Rojas took to Twitter this morning to say that “Android VR will definitely be announced next week” and that it will be “better than Gear VR.” He also noted that this is a stand-alone device that runs off of a smartphone, like the Samsung Gear VR, so don’t expect it to be close to the Vive and Oculus experiences. As a VR hater who has come around to appreciating the technology (Vive addict here), this is pretty exciting news if Google can do this right, build out a legitimate Gear VR competitor, and figure out how to get content creators on board. Because in the end, VR is only as good as the content available. Ooh, Google I/O is shaping up nicely.